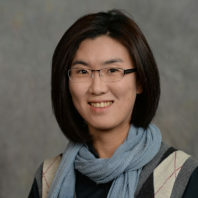 Strategic communication students at the Edward R. Murrow College of Communication benefit from Yoon-Joo Lee’s strong academic and professional background. She earned her doctorate and master’s degrees from the University of Tennessee-Knoxville in information science and communication with an emphasis on advertising. Her research focuses on how consumers make sense of messages and on race and ethnicity issues in health communication. She also conducts research on corporate social responsibility, advertising, and public service announcements. Yoon-Joo Lee shares her knowledge and research history with undergraduate students in Media Planning, as well as in the Consumer Insights and Branding course. She also teaches the graduate-level class, Advertising and Society. 2018 Top Paper in Advertising Division (Special Session), AEJMC, Washington D.C.
2012 Top-Paper Award in Business Communication, National Communication Association. Lee, Y-J, O’Donnell, N.* & Hust, S. (forthcoming), Interaction Effects of System Generated Information and Consumer Skepticism: An Evaluation of Issue Support Behavior in CSR Twitter Campaigns, Journal of Interactive Advertising.